Theodoros Constantinou Hamilos was born on February 13, 1894, in Kaloskopi (formerly Koukouvista) in central Greece. 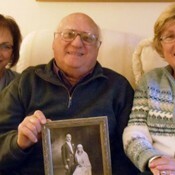 He was the oldest of five children with one brother and three sisters. His first trip to the United States was in 1921. Initially he worked in Centralia, Washington, in the coal mine managed by Evans Collias along with other patriotes (countrymen) including, Collias and Katsaniotis. He returned to Greece in 1926 to be the nouno (godfather) for Barbara Hasiakou, who became his sister-in-law. His next trip to Greece was at Pascha (Easter) in 1948. 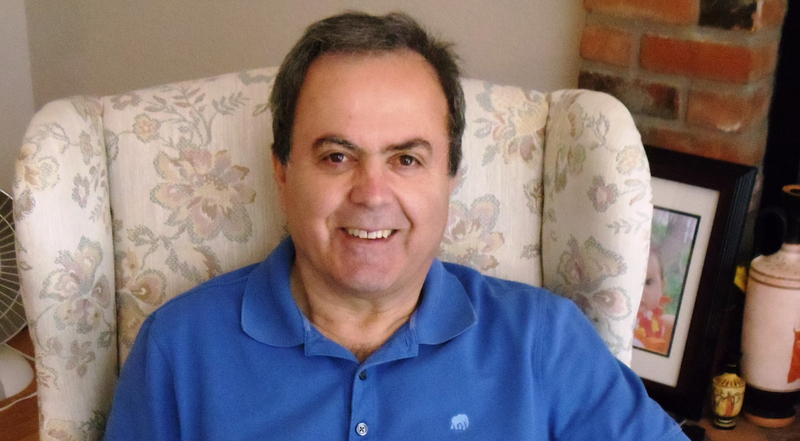 With no seats available on the plane from the United States, Theodoros cleverly found a clerical collar and was able to board the plane as a priest, claiming he was required to perform the Holy Friday lamentation services in Greece. At the time he was 54 years old and had delayed seeking his own bride until he had met the financial obligations of providing a dowry for his three sisters. And, by this time he had amassed enough money for a proper marriage of his own. 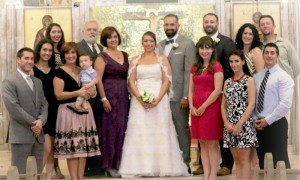 His intended bride was Panagiota Anastasiou Hasiakou, the sister of his baptistira (goddaughter) Barbara. 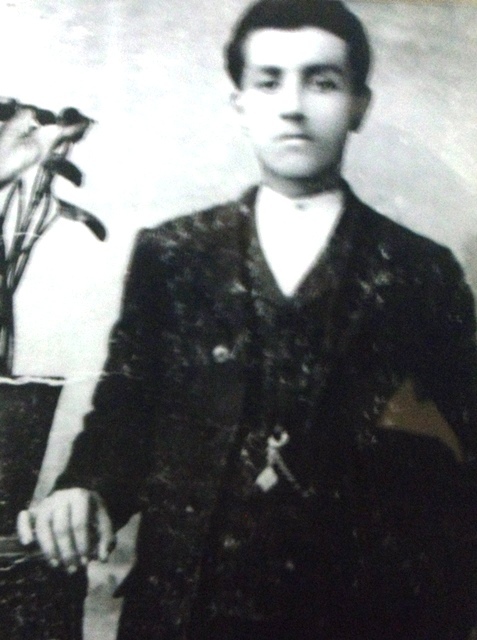 He had known of Panagiota who was just six years old when he came to Greece in 1926. Born on May 17, 1920, and 27 years his junior, she married Theodoros on May 27, 1948. 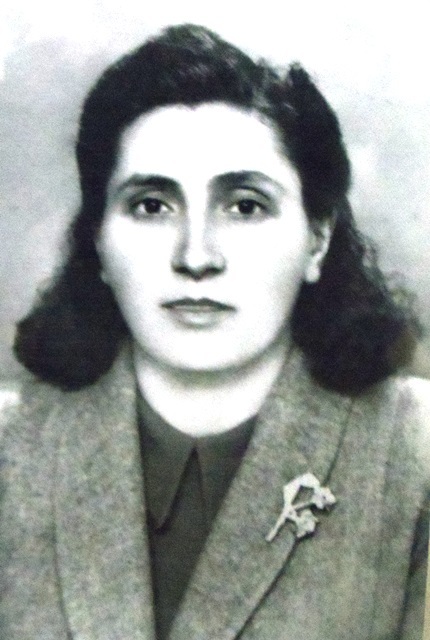 The Hasiakou home had been destroyed during World War II and Panagiota had little besides the clothes on her back. Surrounded by poor, barefoot children, she didn’t want to see her children in that condition and, despite her fear of the unknown, knew life in America would be better for her. So she put her trust in Theodoros and moved to Seattle with him where they spent the next 22 years together. While many letters were mailed from Panagiota to her mother and father, they would never see each other again. Theodoros operated a grocery store at 105 First Avenue South in Seattle for many years. He thought about returning to live in Greece with his family but knew his daughters would fare better by living and being educated in the United States. He retired in 1960 and died 10 years later. 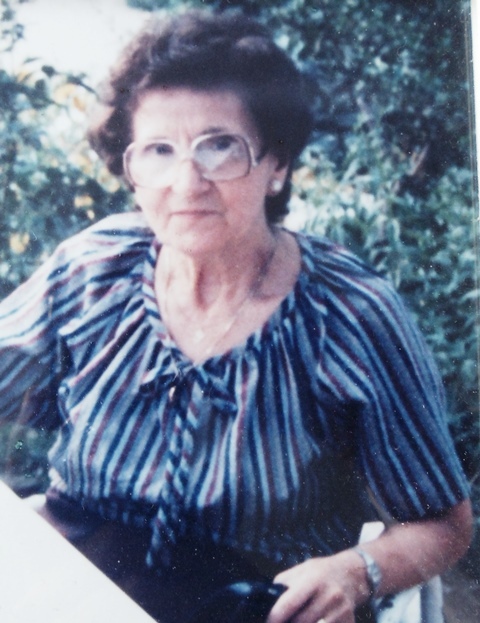 Panagiota was just 49 at the time and needed to help support the family. 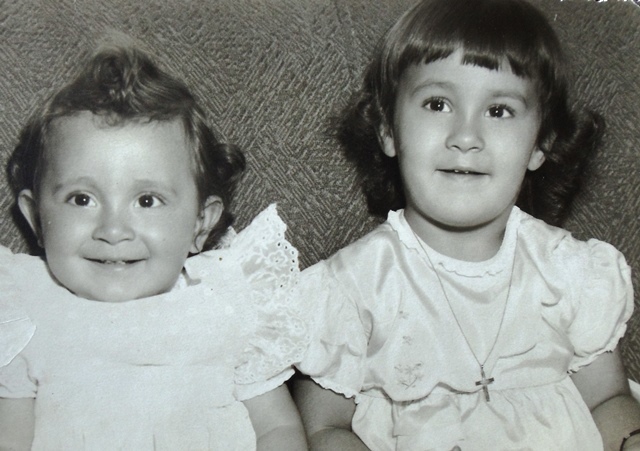 Her daughters, Mary and Deena, describe Panagiota as a bright, optimistic woman who was way ahead of her time. She was an exceptional seamstress who made her own patterns and made all her daughters’ clothes including Deena’s wedding gown. In addition to her seamstress work at home, she worked in food service for the Seattle schools and was the baker at her daughters’ junior high school. She was resourceful and had a friendly nature which contributed to her accomplishments. Panagiota died in 1997. The Hamilos home, actually a duplex, in Seattle’s Fremont neighborhood was purchased in 1948 for $7,000. There were a number of Greek families in the area. 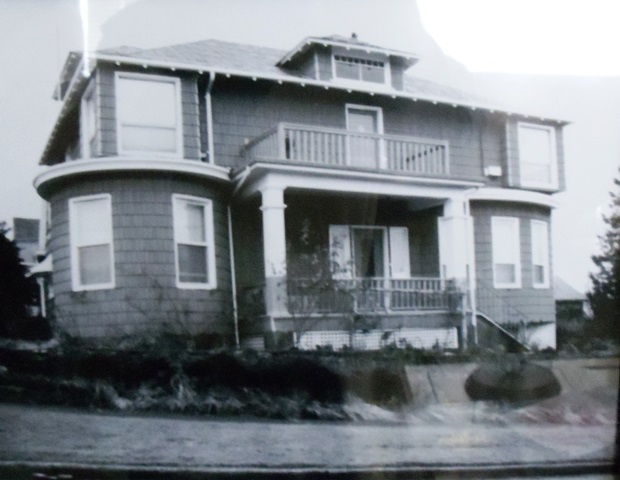 For a time the Stasinos family lived in the upstairs of the Hamilos duplex. Stavroula Peters and Thelma and Al Stasinos lived nearby. 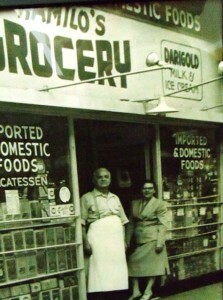 Spiro and Pelagia Malevitsis were across the street and George and Helen Malevitsis were up the street. 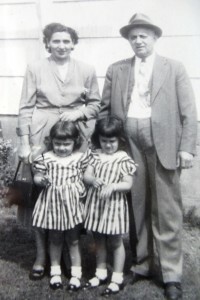 George and Nena Carras, Nick and Helen Carras, the Kouldukis, Gregores, Cominos and Melonas families also lived in the area. Life revolved around the Greek connections where Mary and Deena were very closely watched and could not misbehave. 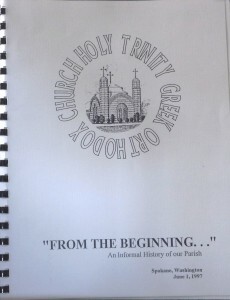 There were no after school activities except for Greek school. 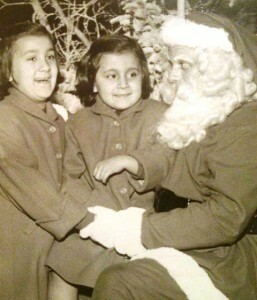 The girls remember an incident when their father purchased a lamb and the lamb ate through its restraining rope. The girls had to run and capture it. Panagiota swore their subsequent tonsillitis resulted from that episode. With no car of their own, family outings to Soap Lake, Washington, (commonly known as the Greek Riviera), found the girls uncomfortable in the back seat of a friend’s vehicle. But, the memories of playing with other families at Soap Lake are fond ones as were the trips to the A&W soda shop for root beer. Maria (Mary) Damascus (nee Hamilos) was born in Seattle on July 12, 1949. She began school at B.F. Day Elementary speaking no English as her only associations until that time had been with Greek families. Her parents insisted she not be held back for that reason and fortunately her first grade teacher worked closely with her. She blossomed as a good student at Hamilton Junior High and graduated in the top 10 of her class from Lincoln High School in 1967 having performed well on the pre-college tests. Her parents felt that was enough education (for a woman) and she considered work using her business and secretarial skills. But Mary’s counselor, Mr. Scheele, knew her accomplishments, offered to help her obtain a scholarship and changed the direction of her life. Eventually, and with the scholarship to cover all her college expenses for four years, her parents consented and Mary attended Seattle University. 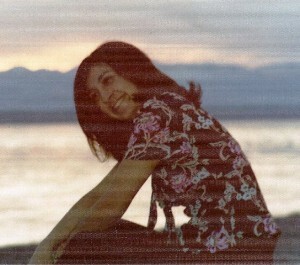 She graduated valedictorian in 1971 and began teaching in the Shoreline School District north of Seattle. She married Nick Damascus in 1974 and moved to Spokane, Washington, where they operated a restaurant, Niko’s, for a short time. Mary taught elementary school for the next 11 years in Spokane’s Central Valley School District before moving to the central office to coordinate and provide ongoing professional development for kindergarten through 12th grade staff. During that time she co-authored Ready, Set, Think!, a reasoning skills curriculum focused on convergent and divergent thinking, as well as Write on the Mark, a writing curriculum focused on narrative, expository and persuasive writing. After retiring from Central Valley in 2009, she fulfilled a three-year contract working full time in the Office of Superintendent of Public Instruction’s (OSPI) District and School Improvement Division. The function here was to help district and school leaders raise student achievement in the most at-risk school districts in the state of Washington. 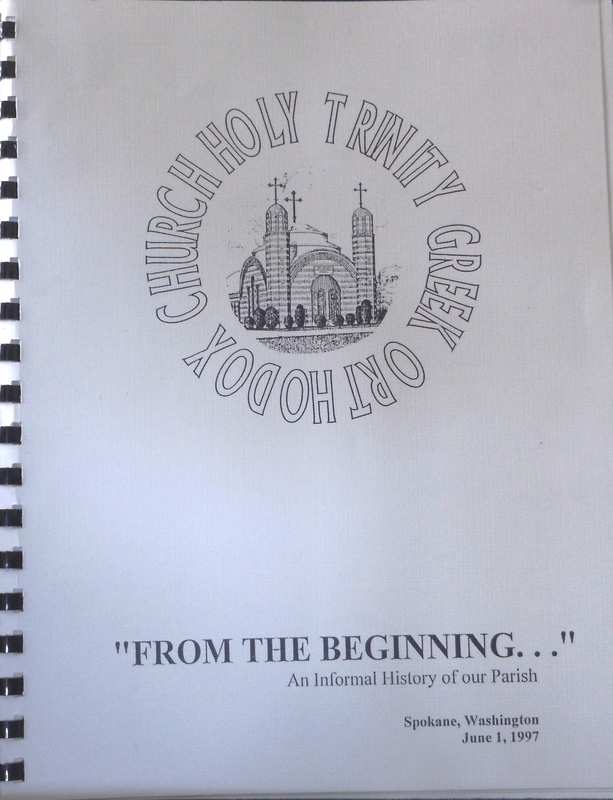 In 1997, while in Spokane and partly due to her mother’s illness, Mary decided it was necessary to document the history of the Greek community there. She collected photos, interviewed a number of Greek residents and wrote From the Beginning…, a chronicle of the Greek community in Spokane to honor those who welcomed her to their city. After 38 years in Spokane, Mary now lives near her sister in Seattle. 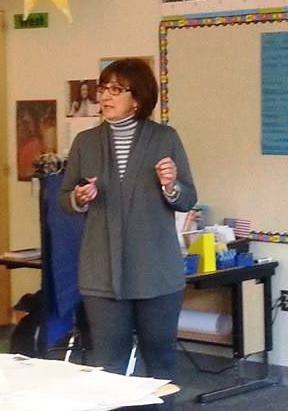 Throughout her career, Mary continued her education, attending the University of Washington and other institutions and is now a consultant for Thinking Maps, a school-wide strategy for efficient, effective learning using a common visual language for learning. The most exciting part of this work is that it recently has begun to take her internationally, providing training for teachers and administrators in overseas schools. Mary loves learning about cultures and people, and is afflicted with a sense of wanderlust. Her passion for travel has taken her to every continent except Antarctica. Mary’s first child, Eleni, was born in May of 1978. Michael followed in January of 1981 and Anna (Panagiota) in 1984. She has five grandchildren. 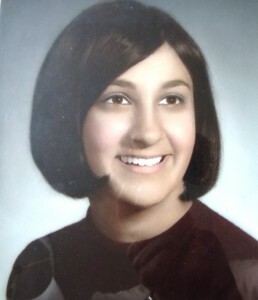 Constantina “Deena” Maroutsos (nee Hamilos) was born in Seattle on June 18, 1950. She is actually a twin. Her twin sister, having died at birth, would have been the third Hamilos daughter. 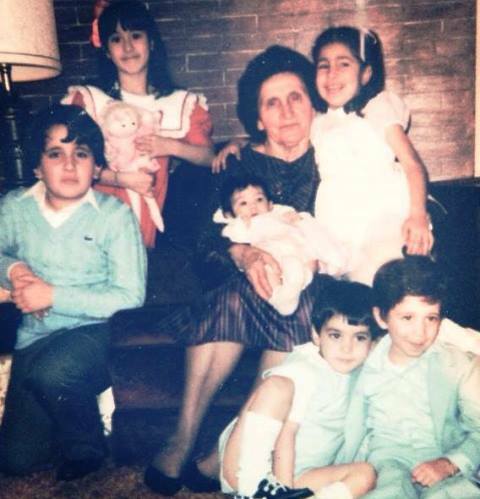 Deena attended B. F. Day Elementary School and remembers being driven by Mrs. Hazimihalis along with Mary and the Malevitsis boys in a blue DeSoto for Greek school. While Deena felt like a captive there and recalls having her ear pulled, she values the experience as she learned to read and write the Greek language. Hamilton Junior High School was uneventful for Deena and she performed well at Lincoln High. She had no desire to attend college and used her typing and mathematic skills in her first job at Fireman’s Fund American Insurance. 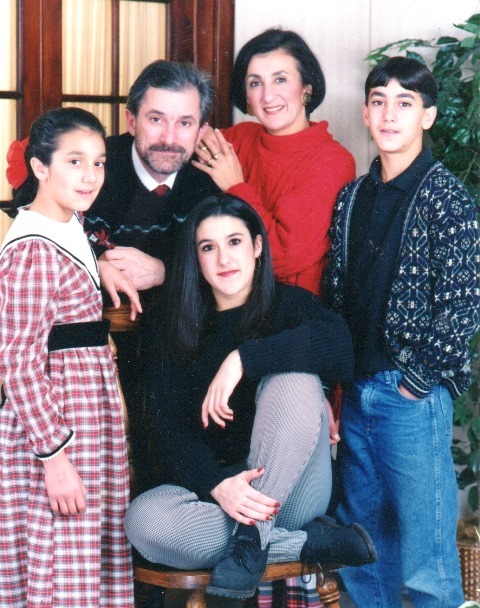 As her father had died, Deena shared her pay with her mother. She then began work at what was then Bell Telephone handling new phones and disconnects. At 19 years of age, she began winter quarter at Seattle Central Community College (now Seattle Central College) where she remembers a number of Greek classmates and having lunch with her sister who joined her from nearby Seattle University. With a few grants and scholarships and a bit of help from her mother, Deena became a “Husky” at the University of Washington (UW) where she studied psychology, sociology, education and business. During her junior year she attended Pierce University in Agia Paraskevi, Greece, an Athens suburb, and even studied United States history there. At the same time Mary was also in Athens, working as a tutor at Siotropou-Vasilaki Frontistirio in Nea Smyrni and the sisters spent time together. Deena graduated from the UW in 1975 and began her career teaching business courses in the Northshore District northeast of Seattle. She left teaching after 11 years when her youngest child was in school full time. Then she was a substitute teacher for eight years and finished her career teaching special education full time with the Edmonds School District in 2014. 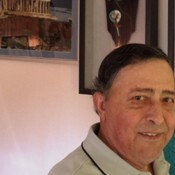 In 1973, one of Deena’s friends who had gone to Greece for a vacation had been dating a young Greek man named Nick who played soccer for the “Seattle Greeks.” The team was slated to play in the final for the city championship. A fundraiser dinner/dance was organized for the team by its fans at the Trojan Horse nightclub a week before the final match. The event was sold out. Deena’s friend had asked Deena to keep an eye on the soccer player but Deena and Mary had no plans to go to the fundraiser. Instead, since it was late morning on Sunday, they went to the Lagos family’s Continental Pastry Shop in the University District (see THE FAMILY TABLE) for coffee and pastries. Two young Greek men asked Mary and Deena if they wanted to go to the event at the Trojan Horse, as the men already had tickets. One of the young men was George Maroutsos who subsequently came to the Hamilos home not knowing which sister was going to be his date. 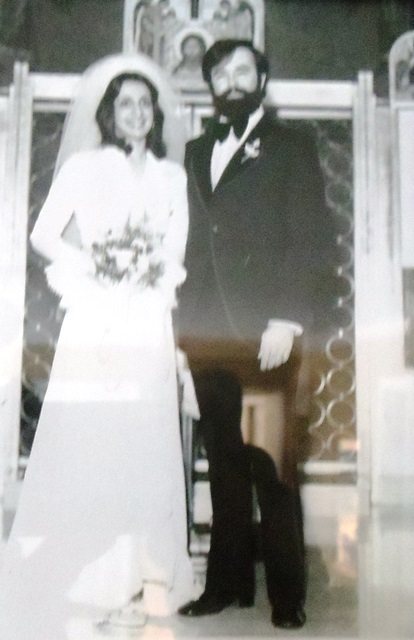 As Mary was not home at the time, it was Deena and, after 13 months of dating, they were married on February 16, 1975. Their first child, Yianni, was born in 1977, their daughter Nicole in 1979, and Theodoros in 1981. All three live near their parents in Seattle. 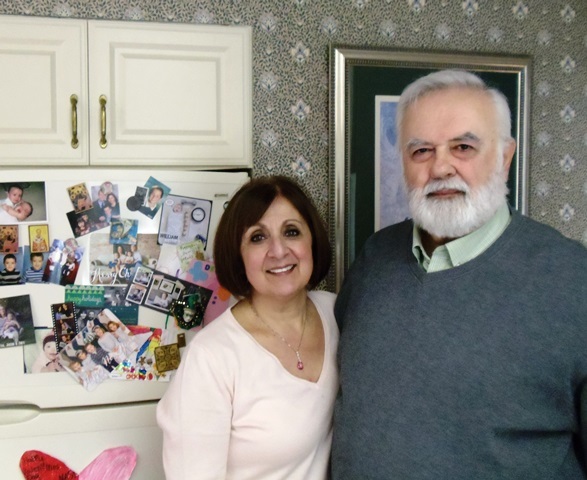 The Maroutsos’ first grandchild, George Louis, arrived in May of 2015. 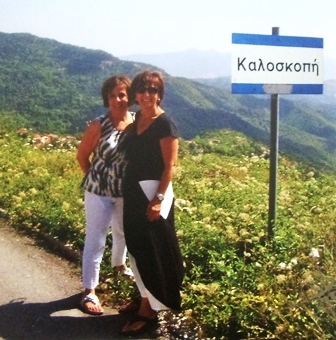 Mary and Deena have kept the Greek traditions. 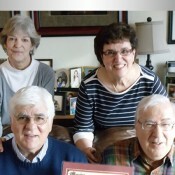 Their children are named in the Greek pattern after paternal and maternal grandparents. From the time they were young all Deena and Mary knew was their Greek neighborhood and their Greek Orthodox Church. Deena recalls being embarrassed when her mother came to take her out of school for services on Holy Friday. Her son, Yianni, was teased for speaking Greek until he proudly proclaimed that he knew two languages, while the teaser knew only one. 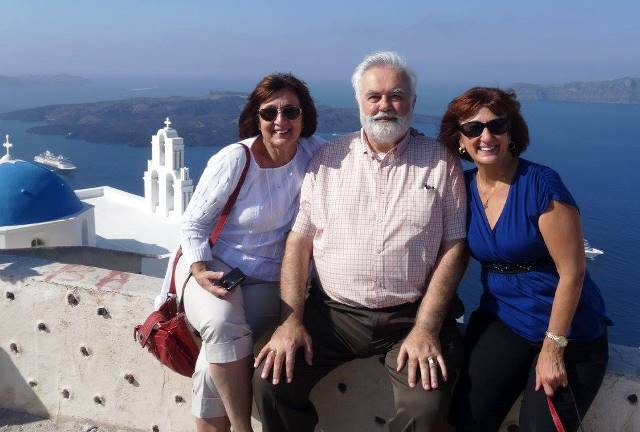 Deena and Mary believe that being Greek is not a “big deal” but they have embraced their culture and believe that the combination of Greek culture and Greek Orthodox faith has made them better people. They remember the excitement of visiting non-Greek neighbors, tasting Wonder Bread, bologna sandwiches, learning that vinegar and oil is not the only salad dressing, and that desserts can follow dinner. Frequent trips to Greece have further strengthened the relationship with their culture. 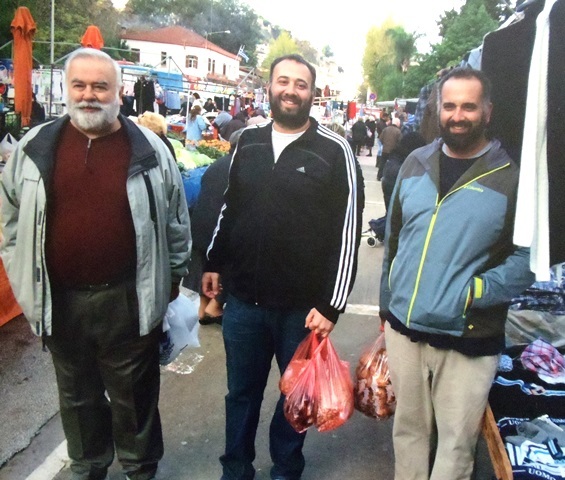 Their Greek culture and Orthodox faith are intertwined. While they have been members of Daughters of Penelope, the women’s counterpart of AHEPA (American Hellenic Educational Progressive Association), their focus has been to do the most they can with their own family. Frequent travels to Greece have helped maintain their culture. Greek customs and traditions of celebrating name days (the day on which one’s namesake saint is honored), cutting the vasilopita (St. Basil’s bread) on New Year’s Day and attending church services continue to be a major part of their lives. The Maroutsos children are fluent in Greek. Now, however, with mo re and more marriages to non-Greeks, they also recognize the value of learning about many other cultures. As Mary tends to be a worrier, her mother would say min klapses prin se diroun or don’t cry before you get the spanking. Another saying is prepi na zimoses prin pinasis (you have to knead the bread before you are hungry or there is no such thing as luck if you are not prepared). Finally, their mother would say min kanete tipota na me dropiasete or don’t do anything to embarrass me. Their parents wanted their daughters to make them proud and they tried to live up to that expectation. Mary knows that once you have passed, people will not dwell on what you owned (a car, a house) but how you lived your life and what sort of legacy you left for your children. Mary and Deena have benefited considerably from financial assistance for their education which took them on much different courses than might otherwise have occurred. If there is a theme in words of wisdom for others, it is to live one’s life in a confident manner and to be oneself without bending to others’ wishes and expectations.